The Board of Control for Cricket in India has only itself to blame for its present predicament. Its president and secretary have been removed for defying the Supreme Court’s order to accept reforms suggested by a court-appointed committee. And its president, Anurag Thakur, now faces legal action for contempt of court as well as prosecution for perjury. None of this would have happened had the BCCI shown some sense of responsibility and a vision for the future, and recognised the fact that the highest court was only seeking to reform the manner in which cricket is administered in the country. In the court’s view, the appointment of the Justice R.M. Lodha Committee and adoption of its recommendations were part of a project to bring transparency and accountability to the BCCI. While the court expected cooperation and compliance, the BCCI responded with obstructionist tactics and defiance. It was therefore inevitable that the court would seek to send out a message that it will not brook any wilful defiance. 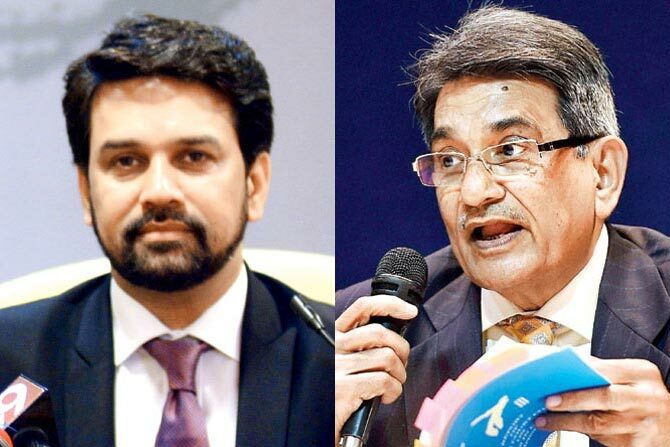 Despite the court making the Lodha panel reforms binding on the BCCI through its July 18 verdict, the BCCI appeared to defy it. It cited as one reason difficulties in getting its affiliated State units to accept the reforms, but at the same time made at its Annual General Meeting in September some decisions that were not in tune with the panel’s recommendations. The price of such defiance is clear: the Supreme Court is now going to appoint a committee of administrators to supervise the board’s affairs. Ex: Since you are not in my shoes, you will probably find it hard to understand my predicament. Ex: John was warned by the judge to tell the truth or else be arrested for perjury. Ex: As discussed in the chapter on civilization, non-violence as a tactic for societal change is growing. Ex: Since Mary never wears shoes, it was inevitable that she would get a piece of glass in her foot. Ex: The willful boy refused to take his seat in class. Ex: The committee received influential support, and in October four courses of lectures, one by Dr S.
Ex: Whenever the politician responded to questions, he would avoid eye contact and equivocate his answers. Ex: Perhaps a warm glass of milk will mollify my upset stomach. Ex: The man earned the wrath of an entire nation when he assassinated the president.